When methane is transported from gas wellheads to the market, there are numerous opportunities for this greenhouse gas to escape into the atmosphere. Presently, an international research team has taken the first step in converting methane directly to electricity using bacteria, in a process that could be accomplished near the drilling sites. Currently, we have to ship methane via pipelines. When you ship methane, you release a greenhouse gas. We can't eliminate all the leakage, but we could cut it in half if we didn't ship it via pipe long distances. Thomas K. Wood, Holder of the Biotechnology endowed chair and Professor of Chemical Engineering, Penn State. The researchers' goal is to employ microbial fuel cells to convert methane into electricity near the wellheads, thereby preventing the need for long-distance transport. That goal is still far in the futur. Right now, they have developed a bacteria-powered fuel cell that can convert the methane into small quantities of electricity. Using microorganisms, microbial fuel cells convert chemical energy to electrical energy. They can function on most organic material, including acetate, wastewater and brewing waste. Methane, however, causes some issues for microbial fuel cells because, while there are bacteria that consume methane, they live in the ocean depths and are not presently culturable in the lab. We know of a bacterium that can produce an energy enzyme that grabs methane. We can't grow them in captivity, but we looked at the DNA and found something from the bottom of the Black Sea and synthesized it. The researchers actually formed a group of bacteria that generates electricity because each bacterium does its portion of the job. 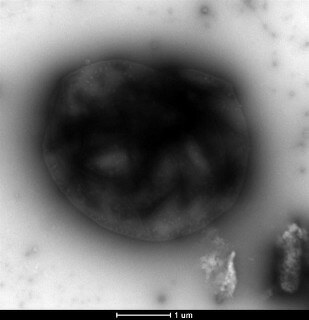 Using artificial biological techniques, including DNA cloning, the team created a bacterium similar to the ones found in the depths of the Black Sea, but one they can grow in the lab. This bacterium uses methane and creates acetate, electrons and the energy enzyme that captures electrons. The researchers also added a blend of bacteria found in sludge from an anaerobic digester — the final step in waste treatment. This sludge comprises of bacteria that create compounds that can convey electrons to an electrode, but these bacteria have to be acclimated to methane to survive in the fuel cell. They reported their research results in Nature Communications. When the electrons reach an electrode, the flow of electrons creates electricity. To boost the quantity of electricity generated, the researchers employed a naturally occurring bacterial genus — Geobacter, which consumes the acetate formed by the synthetic bacteria that captures methane to create electrons. To indicate that an electron shuttle was essential, the researchers operated the fuel cell with only the artificial bacteria and Geobacter. The fuel cell did not produce any electricity. They incorporated humic acids — a non-living electron shuttle — and the fuel cells worked. Compared to humic acids, bacteria from the sludge are better shuttles because they are self-sustaining. The researchers have filed provisional patents on this method. This process makes a lot of electricity for a microbial fuel cell. However, at this point that amount is 1,000 times less than the electricity produced by a methanol fuel cell. Others working on this project were Michael J. McAnulty, recent Doctorate recipient and Venkata Giridhar Poosaria, Postdoctoral Fellow in Chemical Engineering; Bruce E. Logan, Evan Pugh Professor in Engineering and the Kappe Professor of Environmental Engineering and Kyoung-Yeol Kim, Postdoctoral Fellow in the Department of Civil and Environmental Engineering; all at Penn State. Ricardo Jasso-Chávez, National Institute of Cardiology, Mexico City, also participated in this research. The U.S. Department of Energy's Advanced Research Projects Agency — Energy supported this research.